This entry was posted in 8. Back to the future! 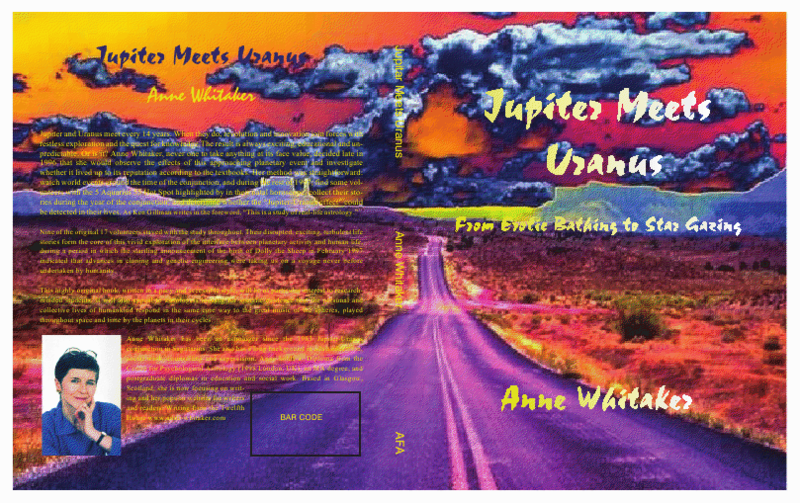 Jupiter meets Uranus meets YOU:1997 to 2010/11....(3 article series Feb-April 2010)) and tagged "Jupiter meets Uranus", 14 year cycle of Jupiter and Uranus, 2010/11 Jupiter/Uranus conjunction, “as above, Back to the Future!, CERN Large Hadron Collider, Icelandic volcano eruption April 2010, Jupiter/Uranus conjunction 2010/11, Jupiter/Uranus conjunctions in Aries and Pisces of 2010/11, Obama’s Health Bill, so below”, THE 14-YEAR JUPITER/URANUS CYCLES, UK’s Stephen Hawking, Uranus moves into Aries on 28th May 2010. Bookmark the permalink. Holy cow! I just looked at the Greenwich chart. Oh my!? Watchful waiting I guess. Yes – and your guess is probably as good as mine or anyone else’s! 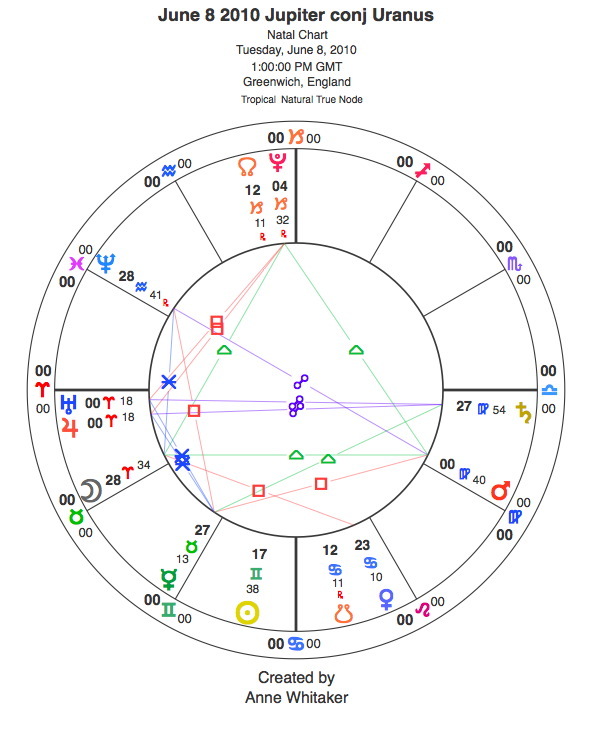 I’m just checking in to let you know how everything is going in my life since I am now experiencing the first hit of Uranus conjunct the Sun. Surprisingly, I haven’t been writing in my blog for a few weeks, because life has gotten extremely busy. At work I am branching out into other areas that I haven’t done since changing job positions in February. My Job still has the “What’s old is new again theme”. Some of the work I’m doing now, I started doing 30 years ago, yet it’s still not the same as before. Like when a fashion statement comes back into style after 30 years, it’s never quite the same. I have been a bit accident prone lately; as I write this I have 6 bruises on my body and a smashed finger. I’m not complaining mind you, because when Uranus hit my Saturn in 1990, I had a rather nasty car wreck. 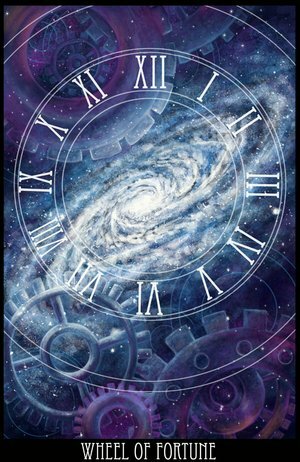 I am totally respectful of Uranus energy and I try to slow it down and pay attention when I’m under a transit. Better yet, I do something Uranus! I’m trying to make changes in my life, so Uranus doesn’t do it for me.